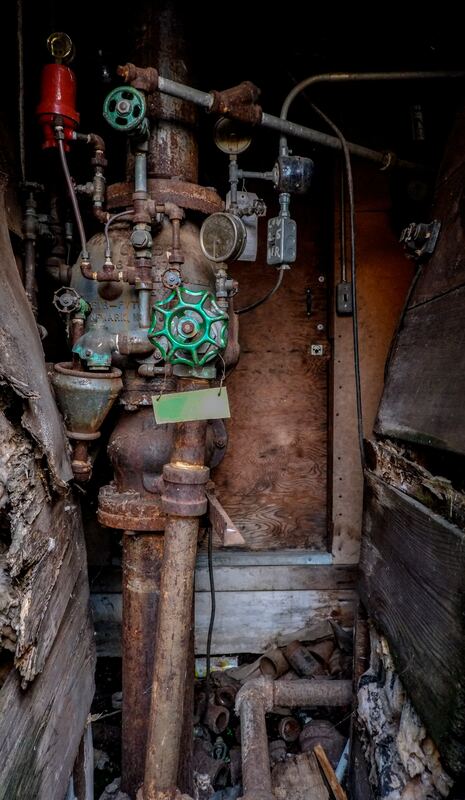 Failure of any asset in a water system can be catastrophic. From the loss of water supply to damaging to localized flooding, a fault in a system can have far reaching effects. Much has been written in the water-focused press about the need to define those assets which are critical to maintaining a water system's performance. But identifying those critical assets which are vulnerable to failure and estimating repair and replacement costs can be very challenging. That process starts with knowing the where of your assets. Displaying your water assets on a map is an important part of this first step. Not only does this help answer these where questions but also the what: the type of asset, associated information (date installed etc), criticality, and asset condition. 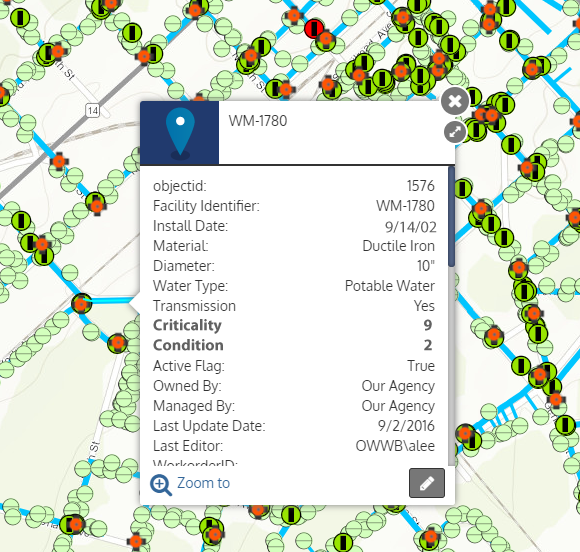 ArcGIS is a popular technology to store and map water asset data. The failure risk of an asset can relate to factors including age, current state, and maintenance history. A measure of that risk can be summarized in a single 'condition' measure stored in GIS. Knowing the where and the what of water assets is an important first step. Regularly updating the condition of these assets in a GIS system, particularly those identified as critical, is a logical next step. But where many organizations are challenged is estimating the cost of replacing critical assets which are in a poor condition. Cost Map was developed to solve the problem of cost estimation in an easy to use web application. Cost Map combines the power of ArcGIS and rich cost data from RSMeans Data. Simply select on a map your water assets of interest, and Cost Map automatically provides the replacement or repair cost of these assets. A filter in Cost Map allows the targeting of assets based on specific criteria. That allows users to run scenarios such as: Cost out only those water mains within the selected area which are rated as 2 (or in poor condition). Cost Map is a focused solution aimed at helping water-focused organization quickly, simply and accurately estimate the cost of replacing and repairing assets.